Discussion in 'Forum Introductions (Who are you!?)' started by wouldntitbenice, Aug 18, 2018. I'll keep this light on the personal details, because for me that's most comfortable. As far back as I can remember, I always wanted to be a gangster entrepreneur. I have only sincerely tried starting a business once though, and the outcome forced me to accept that I don't have the personality for it, but I didn't give up; I realized that entrepreneurship through acquisition was more suitable to me. 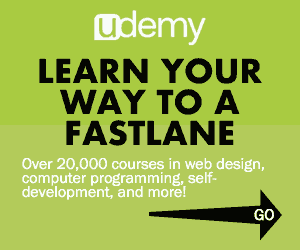 I found The Fastlane from a Google search for unsexy businesses. I've always been fascinated by highly profitable under the radar means of making money. Especially methods with a business to business model. I'm trying to find those qualities in a viable online business now. In addition to the camaraderie, I would like to learn from those with extensive online business experience, so I can find the model that fits my personality and goals, and deepen my knowledge of how different online models operate. I also hope to be able to contribute in a meaningful way here. Get the book and put it at the top of your stack. GoGetter24 and Fotis like this. 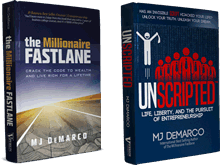 Make reading The Millionaire Fastlane and Unscripted a priority. They are necessary reads (and excellent books!) to get the most out of the forum.